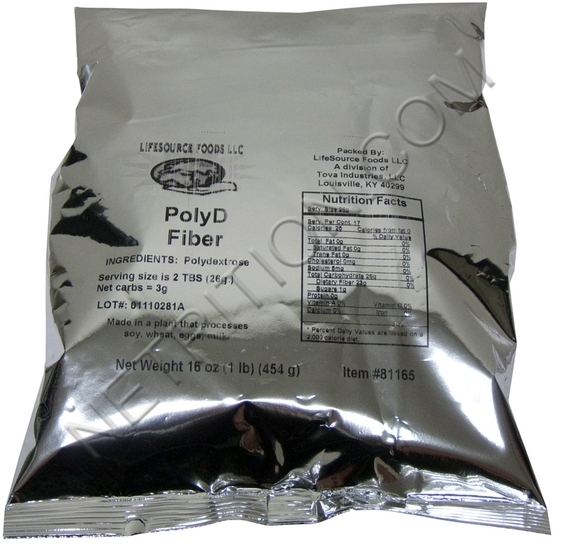 Polydextrose is a non-digestible type of soluble fiber that is synthesized from glucose, sorbitol, and citric acid. It's a polysaccharide that is partially fermented in the large intestine. The unabsorbed and undigested portion of polydextrose is excreted via feces. Known as a "functional fiber," polydextrose was approved by the FDA in 1981 and by Health Canada in 2013[2,3] after numerous research trials proved that polydextrose is safely in high doses. It was approved in as many as 50 additional countries for similar purposes. These approvals spurred major nutritional launches, including its inclusion in USPLabs protein powder. Polydextrose is most often used as a sugar substitute and a baking ingredient. According to Health Canada, "it is used to provide bulk in foods, thereby reducing the caloric content." 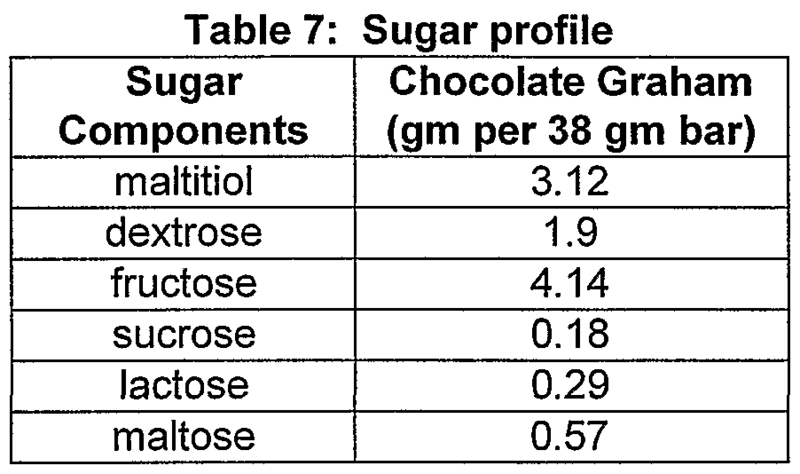 Unlike other polyols, polydextrose is not sweet. Its tart flavor makes it a better alternative as a baking ingredient -- especially for savory recipes. It's also a good substitute for sugar, starch, and fat in dessert foods. Similar to the behavior of inulin, a naturally-occuring fiber additive, polydextrose is fermentable, bifidogenic, and has laxative characteristics. A study from the Department of Food Science and Nutrition at the University of Minnesota demonstrated that 20g grams per day has beneficial effects on laxation in men and women, making polydextrose an acceptable treatment for temporary constipation. A major study on DuPont's Litesse (their trademarked polydextrose product) showed that adding the functional fiber to your mid-day meal can help you feel fuller, even when consuming less digestible foods. What's interesting in this study is that at dinnertime, study participants did not compensate for their decreased caloric intake earlier in the day. This leads some experts to believe that polydextrose may act as an indirect appetite suppressant. To date, it has been added to products across the processed-food spectrum, from breakfast cereals to yogurt. A 1999 study, published in the journal Food and Chemistry Toxicology, found that a 90g dose of polydextrose per day did not have an adverse effect on study participants. Loose stools (diarrhea) occurred at a higher dose (>=90g) than sorbitol (>=70g), making polydextrose less likely to cause gastrointestinal discomfort or irritation for general consumption. Diets that are rich in dietary fiber from whole grains have been proven to lower cholesterol levels and heart disease risk. Functional fibers like polydextrose, however, do not demonstrate the same cardiovascular benefits. According to a 2009 Slate.com article by Jacob Gershman, "the same polydextrose products in Canada, which has tighter classification regulations, wouldn't show the fiber content because Health Canada doesn't consider polydextrose to be a dietary fiber. In other words, the FDA gives food manufacturers in the U.S. a great big loophole with which to fool consumers who want to eat healthy but don't know the difference between functional and dietary fibers, or, as Gershman calls them, "faux-fibers." For mild constipation, 20g per day is the suggested dosage. For laxation, dosage depends on the individual and the purpose for consumption. From 5g to 20g per day is the difference between adding substance to your cupcake and passing a healthy morning stool. As a food supplement additive and baking agent, polydextrose should be used in dosages of less than 10g. For mild constipation, 20g per day is the suggested dosage. No toxicity has been found for polydextrose in humans. It must be noted that it is a laxative, and at high dosages, it will soften stools, which can be an undesirable side effect when it's being used for non-laxative purposes. Health Canada; "Sugar Alcohols (Polyols) & Polydextrose used as Sweeteners in foods"
Sign up for future Polydextrose news! Click the button below to sign up for future Polydextrose news, deals, coupons, and reviews!